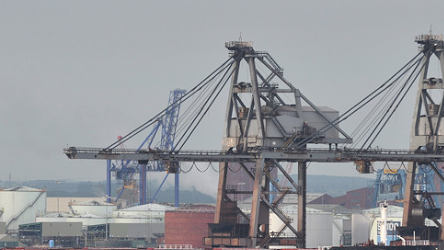 Associated British Ports (ABP) agreed a new deal with British Steel in which ABP has agreed to invest £65 million into the Immingham Bulk Terminal (IBT). “The investment will help to help support the long-term future of steel manufacturing in the Humber region,” said ABP. The new deal will see ABP take over the operation of the terminal from British Steel. Measures are in place to preserve all jobs at the facility and a limited number of new jobs could be created. All 45 staff currently working for British Steel at IBT will be invited to join Immingham Bulk Terminal Limited within the ABP group. “The terminal currently handles over 5.5 million tonnes of bulk cargoes such as iron ore, coal and coke each year destined for the steel manufacturer’s Scunthorpe headquarters,” said ABT. ABP already owns and operates four ports along the River Humber — at Grimsby, Hull, Goole and Immingham. As part of its £65 million commitment to the project, ABP will invest in new cranes, equipment and infrastructure. Simon Bird, regional director of ABP Humber, said: “We see this new venture as a fantastic opportunity for the Humber. Gerald Reichmann, British Steel’s chief financial officer, said: “We’re delighted to be working in partnership with ABP, whose expertise in running operations like IBT will enable us to focus on our core steelmaking operations.